Holmes is charged with killing 12 moviegoers and wounding 70 more. Dr. Lynne Fenton was so concerned about him though that she violated his health care privacy to call his mother. Fenton yesterday testified that Holmes SAID he was having homicidal thoughts as often as three or four times a day, but never let on that he was building a weapons arsenal and planning a mass killing. If he revealed his intent, “I likely would have put him on a mental health hold and contacted the police,” Fenton said. But her concerns remained, even after he abruptly walked out of her office in 11 June, 2012, about a month before he sprayed bullets into the audience at a Batman movie, killing 12 people and wounding 70 more. “I thought it was much less likely this was a sudden, new psychotic break,” Fenton said. Freed from patient-client privilege by Holmes’ insanity plea, Fenton testimony in Holmes’ death penalty trial marked her first public statements about him. Among other things, she described his behaviour as anxious, hostile, bizarre and so worrisome that she took it upon herself to alert campus police but didn’t find the evidence needed to hold someone against his will. Defence lawyers say Holmes, who has pleaded not guilty by reason of insanity, is schizophrenic and was in the grips of a psychotic episode as he carried out the attack on. If the jury agrees, he’ll be committed indefinitely to a mental hospital. Holmes received medicine but deflected efforts to probe his thinking, Fenton said. When Holmes couldn’t get a prescription filled because Fenton miswrote his name on the prescription, he sent her an email with an emoticon that he said signified him punching her. Fenton, who also faces a civil suit accusing her of not doing enough to stop the attack, faced a few more questions from the jury before leaving the witness stand. A prosecutor asked if she could be released from her subpoena, but the judge agreed with a defence objection, saying she may be summoned again. Email “The mental state of Batman cinema shooter James Holmes is still being debated”. 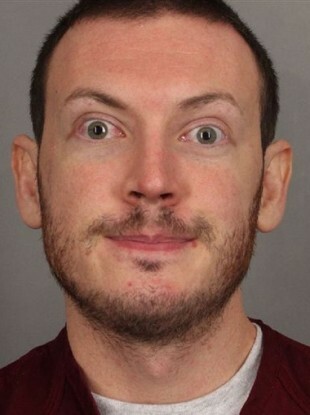 Feedback on “The mental state of Batman cinema shooter James Holmes is still being debated”.